Milan Duomo is the cathedral church of Milan, Italy. It is dedicated to Santa Maria Nascente (St Mary of the Nativity). It is the most impressive structure in Milan. Standing tall in Piazza del Duomo, it took more than 600 years to built. The front facade of the Duomo was completed only in the 19th century. This cathedral is a genuine Gothic masterpiece with more than 3,500 statues of saints, animals and monsters, and 135 towers stretching towards the heavens. The roofline dissolves into openwork pinnacles that are punctuated by a grove of spires, topped with statues that overlook the city. The main spire is 109 meters high. These can all be investigated up close on a breathtaking walk on the roof. The most famous of the statues on the roof is the Madonnina (Little Madonna), a copper statue of the virgin Mary covered with 3900 pieces of gold leaf. It was cast in 1774 by goldsmith Giuseppe Bini and sculptor Giuseppe Perego. The statue, four meters and sixteen centimeters tall , was placed on top of the cathedral's tallest spire. The Duomo's most imposing element, the front façade facing Piazza del Duomo, was completed in the 19th century. The façade is baroque up to the first order of windows, and neo-Gothic above. The five ornated bronze doorways provide a magnificent entrance to the Duomo. Each of the five bronze doors was sculpted by a different artist. The central one is the oldest and was decorated with floral Gothic reliefs by Ludovico Pogliaghi. The panels on the doors depict episodes in the lives of the virgin Mary, Saint Ambrose (patron of Milan) and Saint Charles Borromeo, as well as scenes from the history of Milan and the construction of the cathedral. The inside of Milan's Duomo is expansive and magnificent. There are five large naves divided by fifty-two pillars - one for each week of the year - that support the cross vaulted ceiling. Above the apse (the arched part above the altar) there is a spot marked with a red lightbulb. This marks the spot where one of the nails of Jesus’ crucifixion was placed. “What a wonder it is! So grand, so solemn, so vast! And yet so delicate, so airy, so graceful! The monument of Leonardo da Vinci by sculptor Pietro Magni is located at the center of Piazza della Scala in Milan. The Piazza is connected with Piazza Duomo by the shopping mall Galleria Vittorio Emanuele II. Leonardo da Vinci worked and lived in Milan in the 15th century at the Sforza Castle, under the Duke of Milan Ludovico Sforza. His job was to take care of the cultural life and the arts at the court of Milan. During this period, Leonardo da Vinci was busy with inventions, the expansion of the canal system and the construction of locks as well as the study of man. During his time in Milan, he also created the famous mural painting "The Last Supper". The Last Supper is contained in the church Santa Maria delle Grazie in Milan, which is displayed in the dining hall of the convent. It was painted on the northern wall of the dining hall for the Dominican monks. It measures fifteen by twenty-nine feet. It stands whole as of today, except for the construction of a doorway in 17th century, eliminating the lower central area of the painting. Leonardo da Vinci set the long dining table at stage center in this room, with Jesus at the center surrounded by the 12 apostles. It is said that the look of every apostle was based on a real-life model. When it came time to pick the face for the traitorous Judas (fifth from the left, holding a bag of telltale silver), da Vinci searched the jails of Milan for the perfect looking scoundrel. During world war 2 the Allied bombers struck and heavily damaged the Church. The Dining hall was razed to the ground, a few of the walls survived, including that of the Last Supper, as it had been reinforced prior with sandbags. The Last Supper, which miraculously survived the Allied bombing, suffers from other problem which are due to Leonardo’s experimental technique, which deteriorated the painting faster than expected. Careful treatment of the extremely delicate paint layer restored the painting hidden colours. The church and convent have been the object of continuous restoration from the 1990s onwards, following a unified conservation strategy. The church Santa Maria delle Grazie was originally commissioned by the Dominican Order to Guiniforte Solari for their monastery. Solari designed a beautiful structure in a late Gothic style, which was completed in 1490. 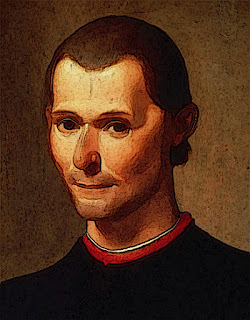 Ludovico Sforza, the Duke of Milan, decided that the church Santa Maria delle Grazie would be a perfect burial place for him and his wife, and in preparation asked Donato Bramante to remodel the church. Bramante rebuilt the apse and crowned it with a magnificent sixteen-sided drum in Renaissance style. Both the interior and exterior of the church show an interesting combination of Gothic and Renaissance styles. The sober brick facade was designed by Guiniforte Solari while the Renaissance-style entrance is attributed to Donato Bramante. The central nave and aisles are magnificent examples of late Gothic architecture. It features elegant pointed arches embellished with delicate frescoes. The Renaissance style is less decorated and seems almost sparse in contrast. Along the aisles are a number of chapels, many of which are beautifully decorated with frescoes. The church and convent has been included in the UNESCO World Heritage sites list. One day, I met Niccolo in exile in Sant'Andrea in Percussina, he looked rugged and drunk. His sweet smile had disappeared into a sad face. A very different image of a person in an ambassador role he had before the Medici threw him in jail, tortured him and sent him into solitary exile at his country retreat. He was a diplomat for 14 years in Italy's Florentine Republic during the Medici family's exile. When the Medici family returned to power in 1512, Niccolo was dismissed and jailed. During his exile he wrote books, including The Prince which became his most renowned book. “The Medici threw you in jail, tortured you with a rope hanged from your bound wrists, from the back, forcing your arms to bear your body's weight and dislocating your shoulders. However they could find no evidence of your direct involvement in the conspiracy, and, under the general amnesty granted by the Pope you were released a few weeks later and they sent you into solitary exile here. “I want to present myself to his Magniﬁcence with some testimony of my devotion towards him, the possession of mine that I love best and value most is my knowledge of the actions of great men—knowledge that I have acquired from long experience in contemporary affairs and from a continual study of antiquity. Having reﬂected on it long and hard, I now send it, digested into a little volume, to his Magniﬁcence. “It is about a citizen who becomes the prince of his country not by wickedness or any intolerable violence, but by the favour of his fellow citizens. We can call this ‘civil principality’. Now, this kind of principality (princely state)—·this way of becoming a prince·—is obtained with the support of the common people or with the support of the nobles. “I am not apologetic about this·: my aim is to write things that will be useful the reader who understands them; so I ﬁnd it more appropriate to pursue the real truth of the matter than to repeat what people have imagined about it. Many writers have dreamed up republics and principalities such as have never been seen or known in the real world. ·And attending to them is dangerous·, because the gap between “how men live” and “how they ought to live” is so wide that any prince who thinks in terms not of how people do behave but of how they ought to behave will destroy his power rather than maintaining it. A man who tries to act virtuously will soon come to grief at the hands of the unscrupulous people surrounding him. Thus, a prince who wants to keep his power must learn how to act immorally, using or not using this skill according to necessity. “This philosophy of "the end justifies the means" has often been associated with you, and so named Machiavellianism. The Prince became a handbook for ruler like Stalin, who starved the Ukranian people șo he could sell the grain from Ukraine to the west so he could make the army stronger and to grow the indunstry. “Your book The Prince is actually a little book with a clear language, easy to understand. However the books of commentaries, reviews, critics and analysis about it are much longer than this little book. What do you say about it?" “The Prince is just one of my books, I also wrote “The Art of War”, “Discourses on Livy”, and plays. In “The Art of War”, Lord Fabrizio Colonna said that we should learn things similar to the ancients that honor and reward virtue, not to have contempt for poverty, to esteem the modes and orders of military discipline, to constrain citizens to love one another, to live without factions, to esteem less the private than the public good. However, good institutions without the help of the military are not much differently disordered than the habitation of a superb and regal palace, which, even though adorned with jewels and gold, if it is not roofed over will not have anything to protect it from the rain. In “Discourses on Livy” I quoted Livy saying that people are strong together, but weak when alone giving the example of the Roman plebs. Livy additionally feels that the multitude is wiser than the one prince. And in Chapter 30 I wrote about that truly powerful Republics and Princes buy friendships not with money, but with virtue and reputation of strength. This is an imaginary interview in memory of Niccolo Machiavelli.